I am back with Part two of my blog series related to academic project management. If you have not read Part one you might want to start here first. Hopefully, after reading Part One you decided to take the leap and set up your research team in the project management tool of your choice. So now what? How is this going to simplifying your life and make it easier to keep track of all of the different tasks that you are working on? How does this help your students, team members, and collaborators feel like they know what you expect of them and what they can expect from you? In today’s post I will give you a couple of examples of HOW (and WHY) we use Asana in my team and you might just decide to give some of these ideas (or all of them) a try. So here are my next THREE suggestions of how project management software might make your life easier and/or make it easier for everyone on the team to appreciate the work that they don’t see. POINT TWO: Each student “Project” has a main TASK list. When I meet with my students weekly, it is the case that this list is almost always open. As we discuss different things that we need to do like email a specific person , or make an updated figure we enter the “action items” directly into the task list for the project and assign the tasks and deadlines while we talk. This means that when the meeting is over we have a clear understanding of what we each agreed to do and when we agree to complete it by. In the example below, you can see that our E coli project has two tasks listed right now. One is assigned to the student (RH) and the other to me. I can easily see with a glance that I can expect to get a draft of RH’s literature review on Tuesday and RH can clearly see that I have committed to sending her edits and revisions on her first research chapter by Feb 8, 2019 (at the latest). In our group that has helped to keep track of all of the agenda items from our individual meetings and improves transparency related to when we expect to complete specific tasks. POINT THREE: If you have not already realized the underlying HUGE benefit of moving your research and team based communication into a project management platform I am going to give away the secret right now. It means LESS EMAIL (cue the dramatic music). In the past, all of this stuff (drafts, tasks, discussions) would have been email strings with attachments. But now, it is all contained in the project management site. Each task in the list has a description and comments and you can also add attachments and tag individuals so that they know that you have posted something for them. In the screenshot below, you can see all of the attachments one place (both older versions and newer versions of a manuscript) as well as the conversation between myself and RH related to the task of revising the manuscript. Everyone knows what to expect and when to expect it by (and it didn't require 10 emails to make it happen). Next time, I will talk about how we have used our project management system to change the way we plan and organize our monthly lab-wide meeting. Do you have questions? Feel free to drop them in the comments below and I will start a new post to address your specific questions. Do you have a to-do list a million miles long, and multiple projects with different funding and reporting requirements? Do you have a team of graduate and undergraduate students that are all working on different aspects of your research program and the feeling that it’s becoming difficult to keep everything straight using your current organizational system? My research team consistently sits at approx. 10 graduate students and postdocs each academic year. My ability to keep track of all of the different projects was compromised, and my email inbox was serving as my to-do list which was making me crazy (and was not working that well). I moved my team onto Asana 2 years ago (although there are many other similar project and team management tools such as Trello, and Basecamp that have similar features). I have found that using Asana has improved my organization and (I think) improved my relationship with my graduate students. In the next couple of productivity posts I am going to tell you how we are using Asana as a research team since this is a question I get asked by a lot of my colleagues (including some who have adopted this system). The first question I always get asked is if we are using the paid version of Asana. Asana is free for teams of less than 15 people. My team is less than 15 people and I am cheap so we are using the free version. The paid version has some additional bells and whistles that might be nice but the free version works just fine for our purposes. I first added all of my team members to the group site. I create a “project” for each member of the team. Each project has “followers” linked to it. In most cases, the projects are student specific and the followers for each project are the student who is leading the project and myself. This is a screenshot of the Main site setup that shows all of the different projects currently underway in my group. The other key item related to the original team setup is the team conversation option. This functionality has served to reduce my daily email significantly! Instead of sending group emails and then having a long chain of email replies to all group members we now use the conversation tool for this purpose instead of email and it has been a game changer because it keeps all of the replies time stamped and tagged to the original post. Set up a team site for your research team or lab group and give it a try. Then stay tuned for future posts to learn more about how we are using Asana in my research group. Guess what? I wrote a guest post on the stylish academic blog about a really fantastic leadership book that I read this fall. If you are thinking that your leadership and mentorship approach could use a reboot I think that the book This is Day One might be just what the doctor ordered! So curl up in your chair next to a fireplace over the holidays and give this book a read. It might just change your approach to the way you lead at work as well as at home. What exactly do you DO as a professor? Most people know that professors teach university students but the part about research is confusing for even my most interested family members (outside of my partner, and parents). And don’t get me started on the fact that most people assume I relax, and sip cocktails all summer long (Spoiler alert: this is absolutely not true. I have a 12-month appointment and a high distribution of effort in research which means the summer is one of my busiest times). How exactly do you explain the details of the research process to someone who asks you? I had a senior colleague who once told me that his perspective was that being an academic researcher was like being a small business owner or entrepreneur. At first, I thought it was a strange analogy but the more I have thought about it over the years, the more I like it. 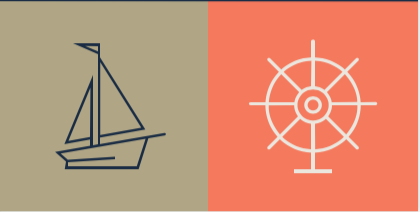 I think my research team runs very much like a small business and I think that it has been helpful for me to talk about it that way with my graduate students because it helps them to better understand how I spend my time, and my role in the bigger picture (essentially keeping the ship afloat and pointing in the right direction). 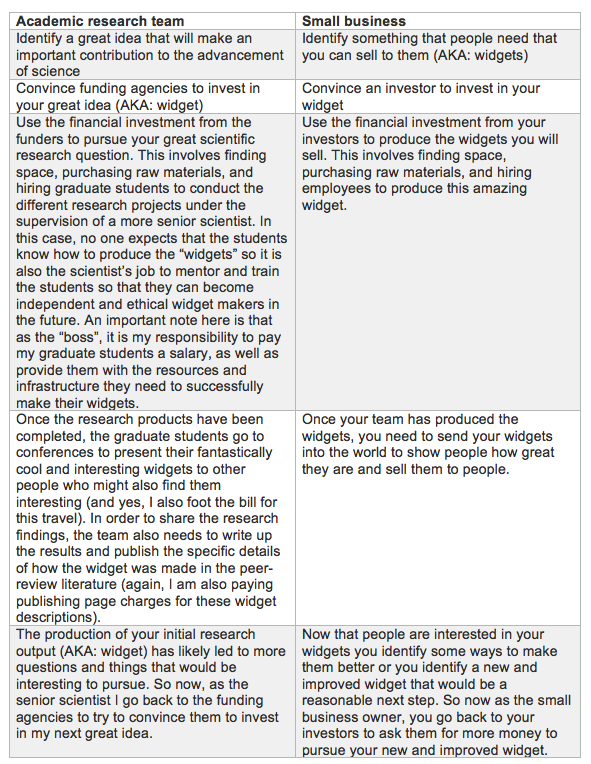 As researchers we deal in the business of ideas and not widgets, but to me it is very similar. See? Running an academic research lab is in fact, a lot like running a small business. How to rock your fall semester as a new faculty member. How do you manage your time and track your research, teaching and service responsibilities? When it comes to tenure and promotion expectations as an early career faculty member, research productivity is key. In order to be as productive as possible, putting some thought into your time management strategy is at least as important as checking off the T&P boxes. As academics, we don’t really like to think that the way we work has that much in common with lawyers or other corporate types who think in terms of billable hours. What no one tells you as a graduate student is that that sort of thinking will serve you well as a new faculty member on your path to tenure. The first order of business is to invest in some sort of time tracking software or app. I use a tool called Officetime to track my time but there are many options available at all different price points. Much like a lawyer keeps track of billable hours, I use this to keep track of every minute of time during the workday. If I spend an hour working on a grant proposal I record it. When a student stops into my office to discuss their research project, I change the timer to record my change in focus. There is no better way to be able to be sure that your time is properly aligned with your distribution of effort (DOE) and tenure requirements than to log your time. On a side note: having an accurate record of your time is incredibly helpful when at the end of your first year on the job you get an email from your Department Chair with a spreadsheet attachment that asks for you to record the amount of time you have spent mentoring each of your individual trainees. I am pretty certain that if you just “guess-timate” you are likely underestimating the time you have invested in your graduate and postdoctoral trainees. The second tool that I have been using for the past 2-years to improve my overall research productivity while maintaining a better boundary between work and family time is Asana. I usually sit at around 10 graduate students and postdocs for whom I am the primary supervisor. Our group at any given time is working on many different projects and we have been using Asana to coordinate and communicate. We are using the free version and it has been a fantastic way to help keep my email box a bit less cluttered because more of our team communication is moved to Asana. My graduate students like it because they can assign tasks that require my attention with a “required by” date and it automatically appears on my Asana to-do list. This way they can also see where their task is in my (usually very large) queue. It is a great way to be sure that I am holding up my end of our mentoring agreement which is that I will provide timely feedback. Being strategic about how you spend your time pre-tenure is key and the first order of business is to find a strategy that works for you and to (actually) keep track of your time. Do you have specific strategies for managing all of your different academic tasks and time? This post was not sponsored by Asana or Officetime. All thoughts are my own.